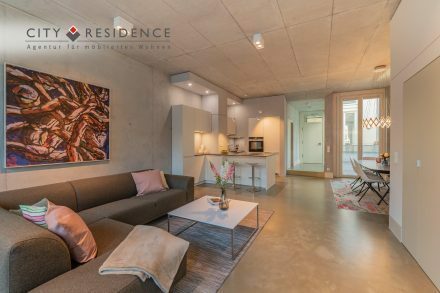 A widespread offering of apartments, flexibly rentable for a few months or for longer periods also. 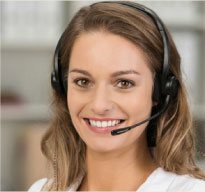 An effective support with the apartment search and the renting by a large, multilingual team of experienced employees. 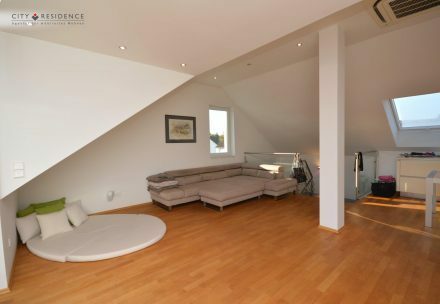 Online viewings of apartments with numerous up to date photos, useful additional information and hints regarding the neighborhood. 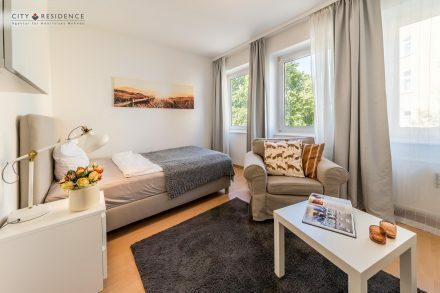 Furnished apartments in conveniently located and popular locations, rental objects with good furniture and complete equipment. For whom does a furnished apartment suit? An apartment on time is often rented by employees who come to Frankfurt for a specific project, for example in the consulting or IT area. The advantage is that rentals are possible relatively quickly and the rental period can be matched with the needs very precisely. This option is also used by employees who want to start a new job and are later joined by their families. 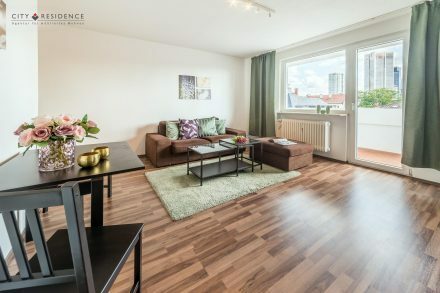 The majority of the apartments are located in the popular central districts of Frankfurt, such as the Nordend, Westend or Sachsenhausen, and some are also close to the workplaces around Frankfurt's city center. Living in evolved, vibrant residential areas allows tenants to quickly feel comfortable in the new environment. For which periods can apartments be rented at City-Residence? The apartments can usually be rented flexibly from three to six months upwards. For some special houses, a shorter rental period is also possible. In general, the tenant can terminate with a lead of one month to the end of the month. This can be the case, as needed, after six months or even several years. All the apartments that we provide are fully equipped with bed linen, towels and kitchen accessories. The furniture is usually good to very good, but at least on a medium level. Is renting a temporary home complicated? If you have seen or found a suitable apartment with us, the hiring is usually very fast. After clarification of certain wishes and data, you can move into the apartment in a few days, sometimes even the next day. 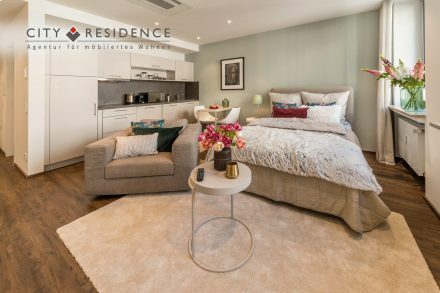 What differentiates apartments from apartments in hotels or boarding houses? Hotels and boarding houses can provide housing only in anonymous settings, often in homes with hundreds of rental units. On the other hand, "temporary living" offers classic living with specific privacy in good, central residential areas. This usually also facilitates concentration on the new job and the new social environment.